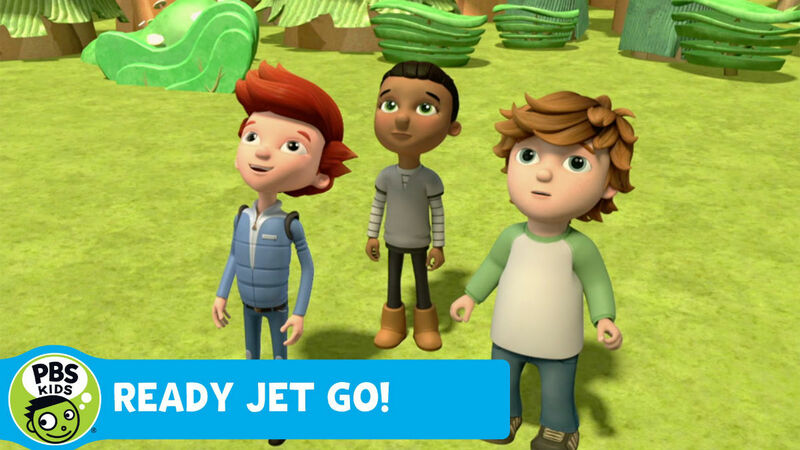 This week’s minorities in cartoons entry is “Ready Jet Go!,” a PBS animated series that debuted in January 2016 online, and on TV in February 2016. The educational series teaches lessons about space, physics, and other science facts in each episode. The series stars Jet Propulsion, a young boy who’s actually an alien from another planet. Jet moved to Earth with his parents, who’re interstellar travel writers. The three set up residence in the fictional suburban town of “Boxwood Terrace” (a take-off on the Seattle suburb of Mountlake Terrace, per the show’s producers), and assumed Earthling identities. The family even disguised their flying saucer as a 70s-style microbus that can transform back and forth between land and space vehicles at will. The family’s mission is to learn all they can about Earth for their homeworld. However, it’s clear the Propulsions have much to learn; a running gag is their surprise at learning about Earth words and concepts such as “presents” or “chores.” Accompanying the family is their alien pet, Sunspot. Jet’s Earthling friends (and only ones so far to know the Propulsions’ secret) are three neighborhood children, Sydney, Sean, and Mindy. Sydney is a girl interested in science fiction and comics. Sean is interested in space travel and becoming an astronaut, but is the most afraid about actual space travel; he reacts toward the gang’s space trips like someone intensely afraid of flying. Mindy is much younger than Sydney and Sean, but also shows some curiosity about science (allowing for explanations from Sydney or Sean), and gets along particularly well with Sunspot. Dalila Bela (Agent Olive on PBS series “Odd Squad“) voices Sydney. Jaeda Lily Miller voices Mindy. Appearing in live-action segments is Amy Mainzer, a NASA Jet Propulsion Laboratory scientist and astronomer. Mainzer also serves as the show’s science consultant. Here’s the show’s opening theme song.